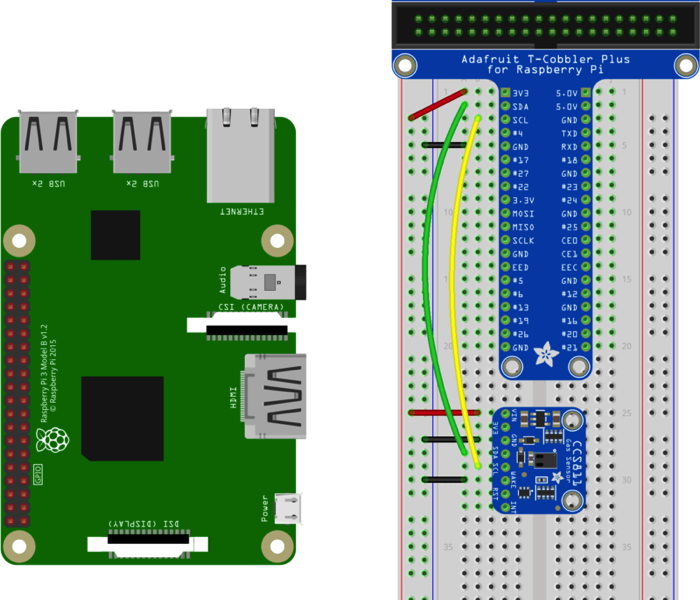 UPDATED GUIDE: Adafruit CCS811 Air Quality Sensor with Raspberry Pi Wiring Instructions and Python Code #AdafruitLearningSystem « Adafruit Industries – Makers, hackers, artists, designers and engineers! We’ve added Raspberry Pi wiring instructions and python code for our CCS811 air quality sensor! The Raspberry Pi also has an I2C interface that can be used to communicate with this sensor. Once your Pi is all set up, and you have internet access set up, lets install the software we will need. First make sure your Pi package manager is up to date. Read the updated guide in full here.